DIN Standards are invented for a variety of components including industrial fasteners as DIN 675 Countersunk Rivets. DIN 675 Rivets are manufactured from Carbon Steel, Stainless Steel Grade A2 or A4, Brass, Alloy Steel, Plain Steel, Copper, Aluminium or many other materials. DIN 675 Rivets are available in a wide range of sizes, shapes and materials. Available with Flat countersunk head. Available with Axial tension or transverse shear strength. Small Solid Metric Rivets for General Engineering purposes. No Positive Tolerance on Head diameter and no negative tolerance on shank length. Available with or without coating as per custom specified. No special ambient conditions necessary. Ideally match the requirement of any Industries. Available with high strength and conductivity. For high strength or water tight connections. Widely used in Automotive Industry. For places where access is only possible from one side. 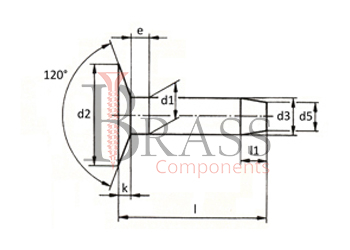 Widely used in machine building, instrument making and in machine tool construction. 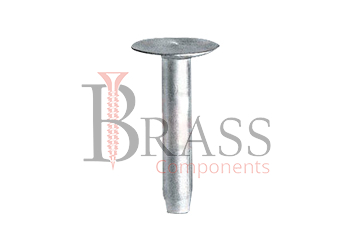 We manufacture DIN 675 Rivets as per Custom Specification and export in France, Italy, Switzerland, Poland, Greece, UK and other European Countries. For more Information, Please Contact Us or Inquiry Now.